Blizzard has released another World of Warcraft: Battle for Azeroth hotfix which partially rolls back the Battle of Dazar’alor Stormwall Blockade Nerf that was implemented yesterday. In addition, the hotfix also fixes a Heart of Azeroth Bonded Souls bug and an issue that caused some NPC guards to ignore nearby players. Furthermore, the patch introduces additional Horde guard support near the Banshee’s Wail and Warfront staging areas of the Port of Zandalar. 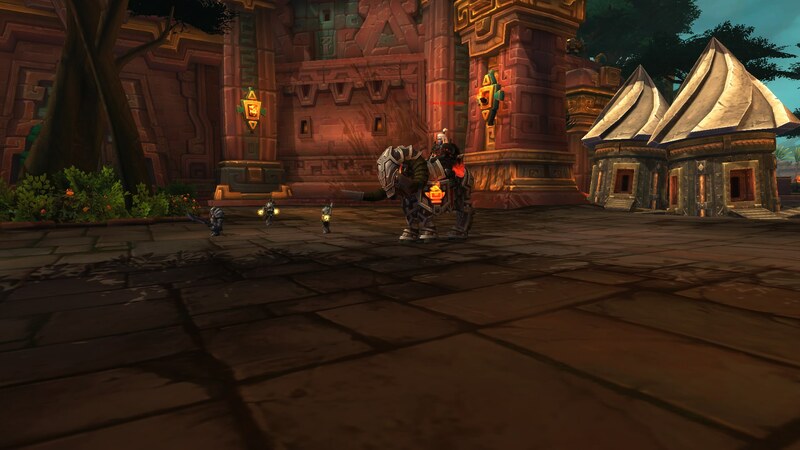 Sylvanas has dispatched additional Horde guard support near the Banshee’s Wail and Warfront staging areas of the Port of Zandalar. The scamps with scrolls that were previously found in the Warfront area have been relocated to other parts of the Grand Bazaar. Battle for Azeroth, World of Warcraft’s seventh expansion, is available now globally.